(SPOT.ph) Contrary to popular belief, summer in the Philippines is the worst time for surfers. The seas are calm and there are no waves to ride. Luckily, that's just two months out of the year and it's all good as soon as rainy June comes in. It's also a big plus that the Philippines has a lot of surf spots—from Luzon to Mindanao, from the eastern to the western seaboard. 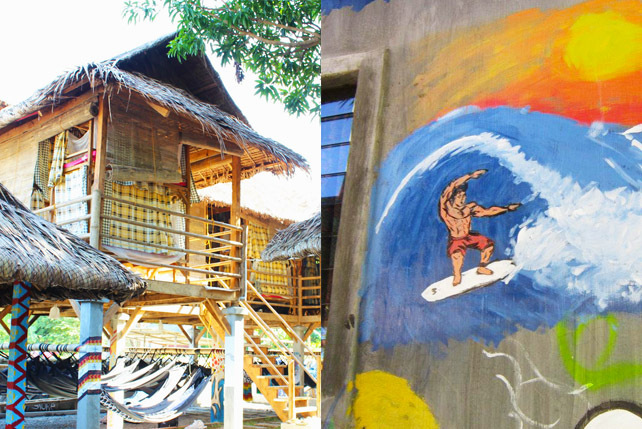 Listed here are 10 hostels that you should consider if you're escaping to the beach this weekend (and other off-days after that). They're perfect for lounging around while waiting for the tide to change or getting a good night's sleep before an early surf sesh. You wouldn't want to miss that glassy wave come sunrise, would you? 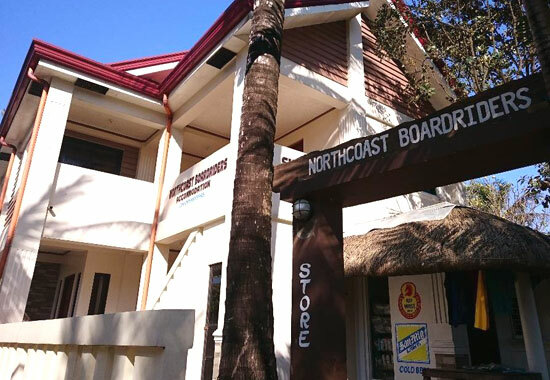 Set in a fishing village, Northcoast Boardriders is just a few steps away from the white sandy beach. They only have three rooms: one family suite and two standard rooms, so it's best to reserve ahead of time. The whole resort's maximum occupancy is 16 so you can book the whole place if you're going with a big group. 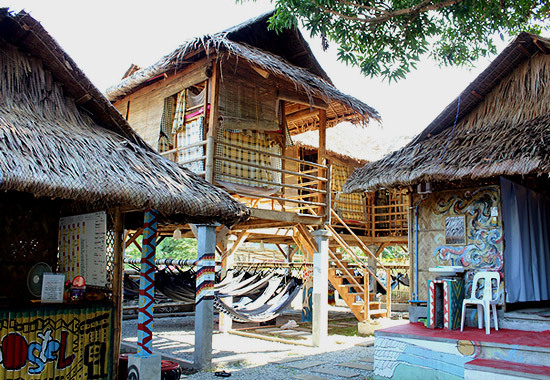 All prices are negotiable for this homestay-style accommodation. Board Culture's name is inspired by its location: Liw-liwa is an Ilocano word which means pinaglilibangan in Tagalog. Aside from surfing, you can also skate and skimboard on the waters of Liw-liwa—a real treat if you're looking for libangan. 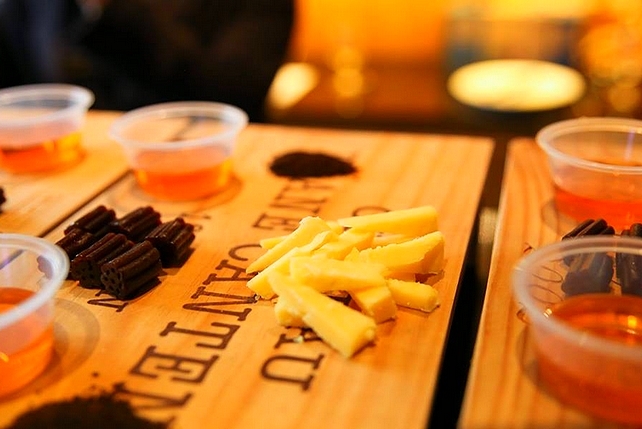 The hostel is committed to delivering the most relaxing ambiance for boardriders. Surfboard rental is at P200/hour while skimboard is at P100/hour. Just in case there are no waves, you and two other friends can always take the boat to nearby Capones Island, Camara Island, and Anawangin Cove for P2,100. 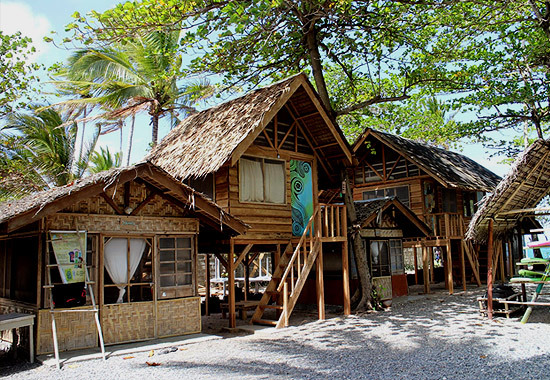 Unlike most surfer hostels where you can just pitch a tent or sleep in a hammock, Surfhouse Baler is a bit upscale. They have a main house, which can fit up to four guests, and four smaller guest rooms, which can fit two. Their accommodations are all air-conditioned with 42-inch LED TV and queen-size beds with Senso memory and Fibersoft pillows. The main house has a fully equipped kitchen in case you want to cook your own meals. 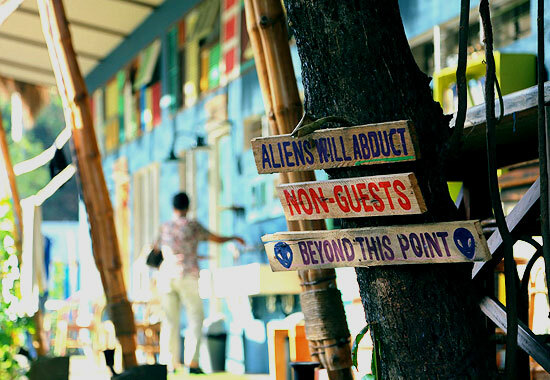 All three branches of Circle Hostel live by the motto: "There are no strangers." 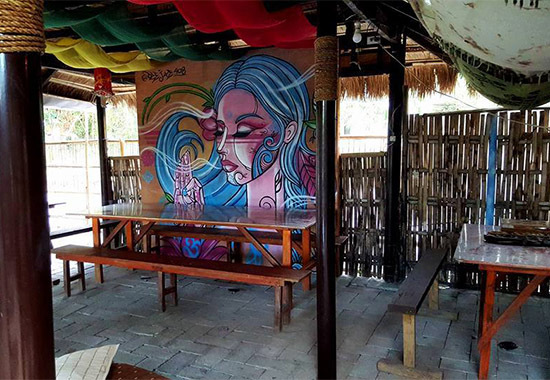 This eco-hostel is not only a sanctuary for surfers but also for artists who want to express themselves freely through interesting conversations, jamming sessions, or even painting on the walls. 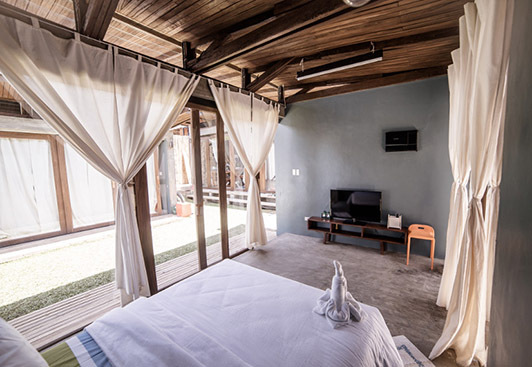 Except for the Baler branch, Circle has no private rooms, only dorm-style bunk beds and hammocks for the cowboy traveler, and a spacious common area where you can sit back and relax. They also follow 10 "Circle Rules to Harmony," one of which is to be friendly. 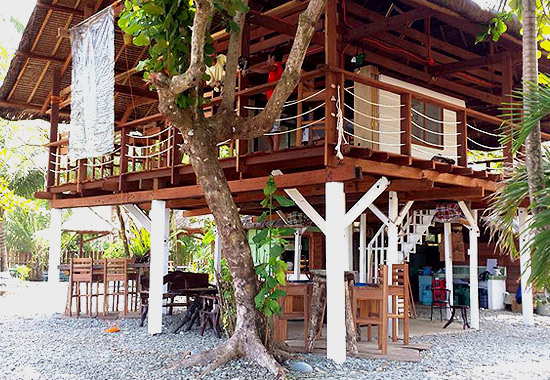 If you were able to watch Solenn Heussaff's Flotsam, you might already have a good idea of what this hostel is all about. 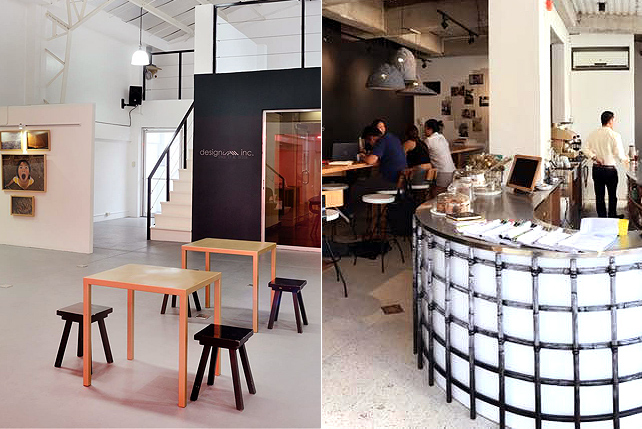 The living space founded by Mia Sebastian, Carla Suiza, and Joncy Sumulong is filled with art, music, style, design, happiness, and imagination. You can share a space with a new friend at their eight-bed kubo or aircraft cabin-like bunks. A new building is in the works and we can't wait for the bright and colorful designs it'll have. Lola Sayong offers a simple life close to nature. They even use eco-friendly materials in their facilities. You can pitch a tent in the big camping area surrounded by the shade of trees or book a bamboo cottage by the beach. There's also a hammock area where you can just chill and enjoy the sound of the waves. For the more adventurous travelers, motorbikes can be rented for P300, in case you want to go on a joyride around Gubat. 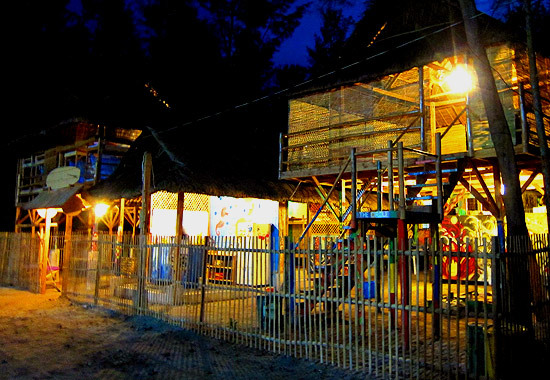 Named after Puraran’s signature break, Majestic Puraran Beach Resort was established in 1995. It's owned by Elena Estrada-Tanael and managed by her surfer-daughter Aireen Tanael. Another Tanael, Chris, can be seen riding the waves when not teaching beginners. 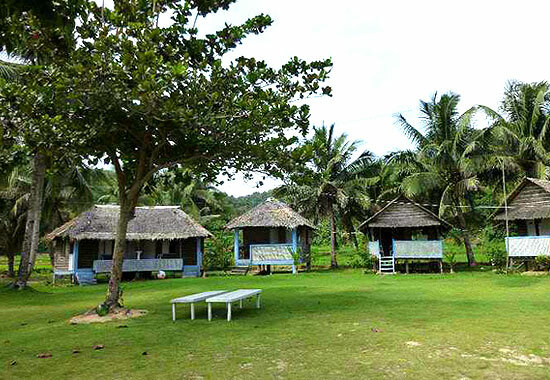 The resort has maintained the countryside vibe with all the kubo-style accommodations and a patch of grassland that serves as a tent area. Each room only has the basics: a bed with a mattress, mosquito net, and a bathroom with a toilet and faucet. Simple, just like how island life—or life in general, perhaps—should be. 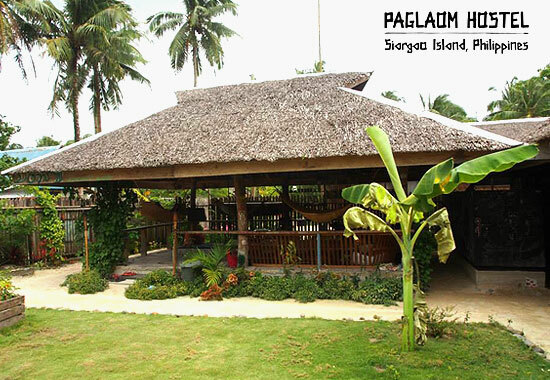 Owned by Swedish Sanne Sevig and Filipino Joseph "Cocoy" Davis, Paglaom is just a short motorbike away from Siargao's famous Cloud 9 surfing spot. 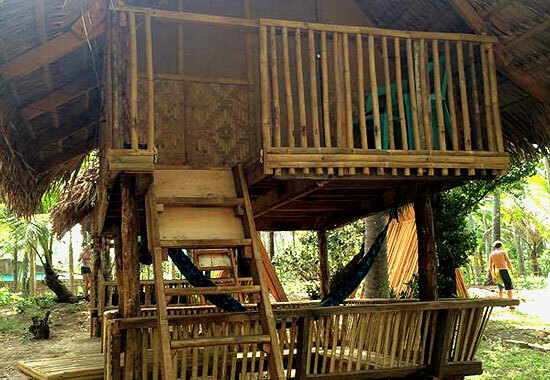 Their kubo with bunk beds are perfect for solo travelers; a common area is open to anyone who wants to have some laidback fun when the noontime sun is out. Guests also get to enjoy a get-together dinner with the whole hostel and its owners on their last night. Babak Bungalows Resort is located right in front of a surf break and has close proximity to a marine sanctuary. They offer both surf and yoga lessons for those who want a full-body workout while out near the ocean. The small coastal town of Lanuza holds a surfing festival every November to bring together local and foreign surfing enthusiasts and professionals.